Great dive with Antonio...super knowledgeable and friendly! Our group of divers were extremely pleased with the Manta shop, the owner who is on site to greet all divers and customers. The staff is the best we've seen in a long time. Their boats and captains are equally pleasant and responsive. They are all very accommodating. The diving was terrific with many sites to choose from including night dives. All of our diving group agree that you will have a great time with Manta. 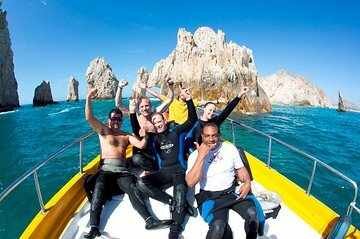 Some dive shops cater to the cruise ships but Manta is always happy to show you the best Cabo has to offer. Thank you so much for a great week. Jim and group of Pacific Northwest Divers.